As a Project Director, Deenky Shah is responsible for the implementation of Customized Executive Education Programs. 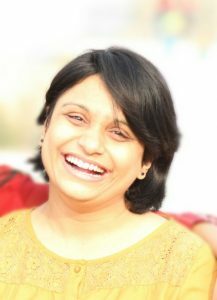 She joined Duke CE in June 2011 and since then she has worked with global clients in the financial services, pharmaceutical, Telecom, Oil & Gas, Mining and FMCG sectors across India and South East Asia. She has worked on programs that address leadership and strategy issues for senior executive groups, high potential talent development with mid-level, as well as junior managers. Her role includes client relationship management, client discovery and program design, educator conversations and overseeing end-to-end program implementation. Prior to joining Duke CE she was a Research Associate with Ahmedabad Management Association (AMA). Her academic background includes B.Sc. in Statistics, a Master’s degree in Labour Welfare, a Diploma in Journalism and a Diploma in Corporate Communications. She has studied the Indian classical dance Bharatnatyam for seven years, and speaks English, Hindi, Gujarati and Basic French. As a new mother she loves spending time with her daughter.